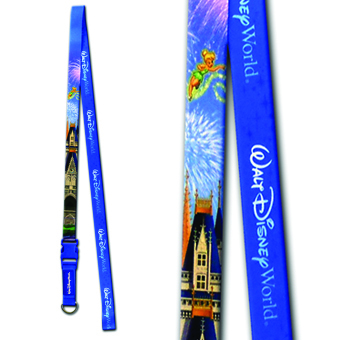 Our reversible lanyard features Tinker Bell sending fireworks across the sky above Cinderella's castle. Or flip it over to show case the Walt Disney World Logo on a rich blue background. Perfect for showing off your most prized pins!